The Lost Children of the Far Islands by Emily Raabe is quite a fascinating book. Gus, Leo, and Ila think that they are just normal kids until everything around them turns upside down. It is action-packed, and has some twists and turns that you never would see it coming. I highly recommend this book if you like adventure. Magisterium: Iron Trial by Holly Black and Cassandra Clare (two well-known and loved fantasy authors) was an action packed, mysterious fantasy, where Call is forced to go to a trial to get into an academy of wizards. While there, he purposely tries to fail so he can have a normal life. But, then again his life has never really been normal. When Call is called up to be accepted into the Magisterium his father is furious, and Call has to go to the Magisterium. I would give it 50 out of 5 stars. The Copernicus Legacy: The Forbidden Stone by Tony Abbott is awesome! It is the first book in a six- book series, and I can’t wait for the next one. The main characters Wade, Darrell, Lily, Becca, and Darrell’s father Roald, have to find twelve ancient relics hidden all over the world before the evil villains do. Even though the book is about 400 pages, it seemed to end way too quickly. If you like adventure, mystery, and action, this book is definitely for you! The book Fallout by Todd Strasser is a very exciting book. It is filled with lots of action and mystery. It is the summer of 1962 and there is a possibility of nuclear war. Scott’s dad is the only one who actually prepares for war. He goes and builds a bomb shelter. He builds it to protect his family and stocks it with enough food and water to keep the four members of the family alive for two critical weeks. In the middle of the night in October, the unthinkable happens. I would recommend this book to kids ages 10 to 12. 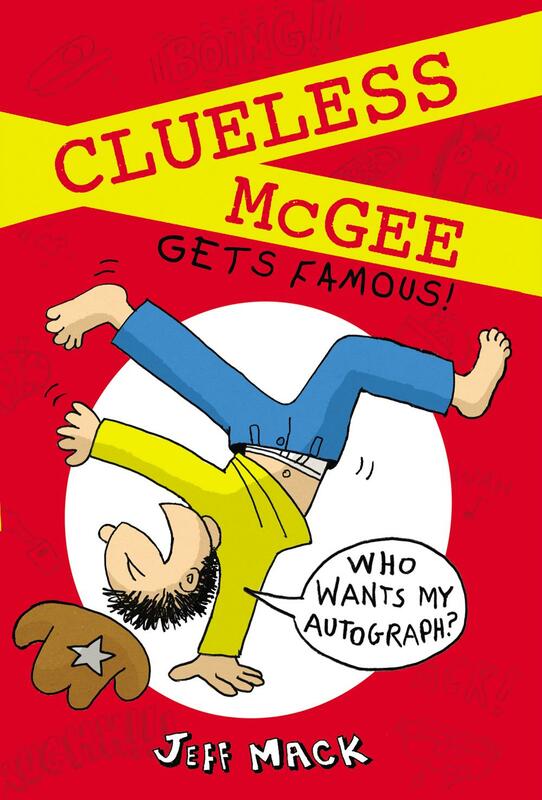 Clueless McGee Gets Famous by Jeff Mack is a ridiculous book. If you like comedy mixed with a little mystery, this is the book for you. Clueless can’t find his hat! The one that was autographed by famous singer Junior McFiddle! All this leads up to lots of action and comedy. If you liked Big Nate and Diary of a Wimpy Kid, you will love this book.